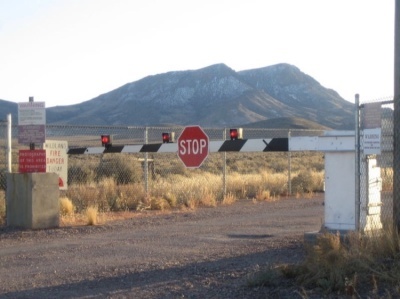 Area 51 Four fascinating things we already know about Area 51, and one thing we don't. It's pretty much a fact that when you try to hide something, it only makes people a lot more interested in it. Kind of like this photo of Beyoncé: Which Bey's publicist genuinely attempted to hide from the Internet. On the Internet, it remains — where people have photoshopped it into pretty hilarious memes. Of course, there's almost nothing more hidden behind layers of mystery and intrigue than Area 51. Located in Southern Nevada, the 60-square-mile Air Force facility is one of the most secret and conspiracy-riddled locations on Earth. Presidential candidate Hillary Clinton recently brought Area 51 back into the spotlight when she jokingly promised to "get to the bottom" of the various UFO conspiracies surrounding it if elected. Jokes aside, that statement made Clinton one of the few public officials to officially acknowledge the base, jokingly or otherwise, in recent years. In fact, when President Obama made a joke about Area 51 at the Kennedy Center Honors in 2013, he became the first president to mention it publicly. Ever! Despite the base being around since (roughly) the 1940s. Before that, information on Area 51 was either ignored or redacted. 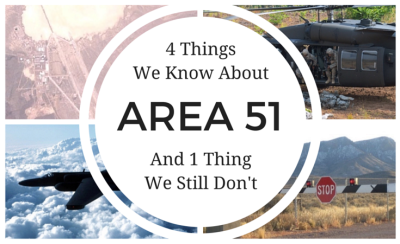 What many people don't realize, however, is that thanks to the Freedom of Information Act, over the past few years, not only has Area 51 been officially recognized by the United States government, but a lot of information about it has already been revealed. 1. We do know what Area 51 looks like. That may seem obvious, but information on Area 51, historically, has been so sparse that photos of it have only recently been seen by the public. Satellite imagery of the base was routinely deleted from government databases. In 1973, astronauts aboard Skylab 4 inadvertently photographed Area 51 and immediately had their pictures censored by the CIA. Now, in the technologically advanced world of 2016, you can hop on Google Maps and look at Area 51 all you want. It's just a bunch of runways and aircraft hangars. I know what you're thinking: "THE ALIENS ARE IN THE HANGARS, DUMMY!" First of all, stop yelling. Second of all, yes, I'll admit it'd be cool to see inside those hangars. But ... even if you did, all you'd probably see are private airplanes and helicopters alongside some government R&D contractors. Why do I think that? Because... 2. We built the U-2 spy plane there. Thanks to recently declassified data, we now know that the U-2 spy plane was largely developed and built at Area 51 in the 1950s. The U-2 spy plane was, of course, built to help our nation more effectively spy on Irish rock band U2. 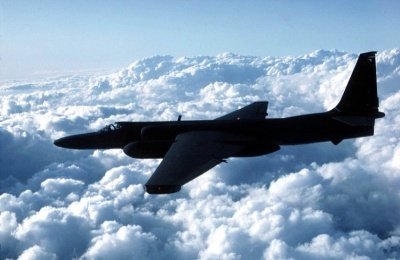 The U-2 spy plane was an early reconnaissance craft used by the CIA to gather high-altitude data during the Cold War. The U.S. still uses U-2s, though they've been upgraded significantly over the years. 3. Area 51 is actually where we flew some of the first drones. Unmanned drones are now ubiquitous in both war zones and the backyards of GoPro hobbyists. But before you could buy one at RadioShack to spy on your neighbors, they were researched, developed, and flown at Area 51 in the early 1960s. That's right! Drones are as old as nondairy creamer (which is similar to Area 51 itself, in that you really shouldn't ask too many questions about what's in it). 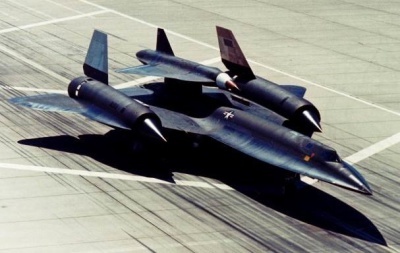 The first drone was called the Lockheed D-21 and had to be launched on the back of another aircraft: Several test launches were necessary to get the drone program off the ground (literally), and recently declassified data reveals that a lot of those early test flights occurred at Area 51. 4. We kept a lot of our stolen stuff at Area 51. If you steal something from someone, you have to hide it somewhere. Like a shoebox under your bed. Area 51 was, and probably remains, America's shoebox. When foreign technology is captured during war time, it's a good idea to hold onto it. That way, you can examine it and figure out its weaknesses or use it to improve your technology. 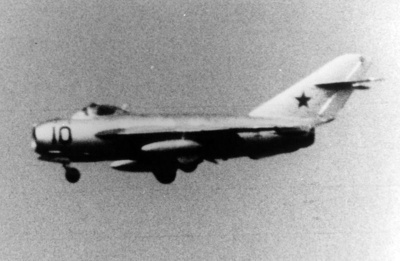 When Soviet MiG planes were captured during the Cold War, we took them to Area 51 to check them out. We also used Area 51 to examine and exploit foreign radar systems. Of course, the Russians were doing the same thing to us. It was the Cold War after all.
. A U.S. Blackhawk Helicopter. Largely believed to have been developed Some have alleged that the Blackhawk helicopters used in the Osama Bin Laden raid were developed there. That's good. Others have asserted that Area 51 was used to dump illegal and extremely dangerous amounts of chemical waste. Which may have led to the death of workers there. For now, both theories are surrounded in, and in turn protected by, the overwhelming secrecy afforded to the mysterious base in Groom Lake, Nevada. Though I certainly wish that we lived in a world that didn't necessitate government secrets, the fact is ... we don't. So we're just going to have to wait until all the goings on at Area 51 are slowly-but-surely declassified.